As skin care junkies, we’re always on the hunt for the best tips and tricks out there. From watching videos of our favorite skin care gurus to borrowing tidbits from other countries, you can find us carefully tweaking our routines accordingly. And, we’ll admit it. Our fascination with other cultures’ skin care secrets runs deep! We’ve rounded up some of the best skin care tips from around the world. Your skin care routine is going global! This skin care secret has definitely stood the test of time! Yarrow root was originally used by Aboriginal women to hydrate dry skin. It also reinvigorates skin, making it perfect to use on stretch marks. Let’s be real: oatmeal has superpowers when it comes to healing irritated skin. It contains vitamins and minerals that are essential for your body. Brazilians often harness the power of those vitamins and minerals by using oats to heal sunburns. Next time you’re out in the sun for a little too long, soak in an oatmeal bath! You’ll find relief faster, thanks to anti-oxidants. You may have seen jade rollers gracing vanities across Instagram, but this smooth stone is good for more than just aesthetics. Jade is a naturally cool stone, so it helps soothe puffiness and irritation. Consistent use lets you maintain healthy, glowing skin. Itchy scalp got you down? We know what that feels like. Take notes from the people of Croatia and find yourself some nettles. Boil the nettles in water and use that mixture to wash your hair. No shampoo needed here! Whenever the people of the Dominican Republic find themselves with brittle nails, they rely on garlic. It might sound a little funky, but here’s how to hack it. Dominican women will chop fresh garlic and add it to clear nail polish. Once the smell wears off, nails become stiffer and stronger. Plus, garlic has antibacterial properties, which helps keep nail fungus at bay. Next up on our list of skin care secrets: the milk and honey baths of Egypt. Cleopatra reportedly cleansed with milk and honey to keep her skin healthy. Milk contains AHAs, which help exfoliate your skin, while honey purges your pores of dirt and grime. Not only does olive oil add delicious flavor to all your favorite foods; it also offers a wealth of skin care benefits. It’s bursting with vitamins and antioxidants, bringing a youthful glow to your skin. Additionally, it also works beautifully as a hair mask and can keep your locks shiny. Turmeric is another one of those skin care secrets that transition from the kitchen to the bathroom. In addition to being heavily used in Indian cooking, it restores vibrancy to skin and can help remove unwanted facial hair. If you find that your dark circles are particularly prominent one day, try using potato slices! Spanish women cut thin slices of potatoes and put them over their eyes for ten minutes at a time. When you remove the slices, you’ll see lighter, brighter undereyes, no matter how tired you are. Rounding out the list of skin care secrets is shea butter. The people of South Africa trust pure shea butter to naturally moisturize dry skin. Regular use can even soothe skin conditions and irritation. Another skin care secret shared around the world? Sebamed. Our wide range of cleansers, moisturizers, and hair products are suitable for all skin types. 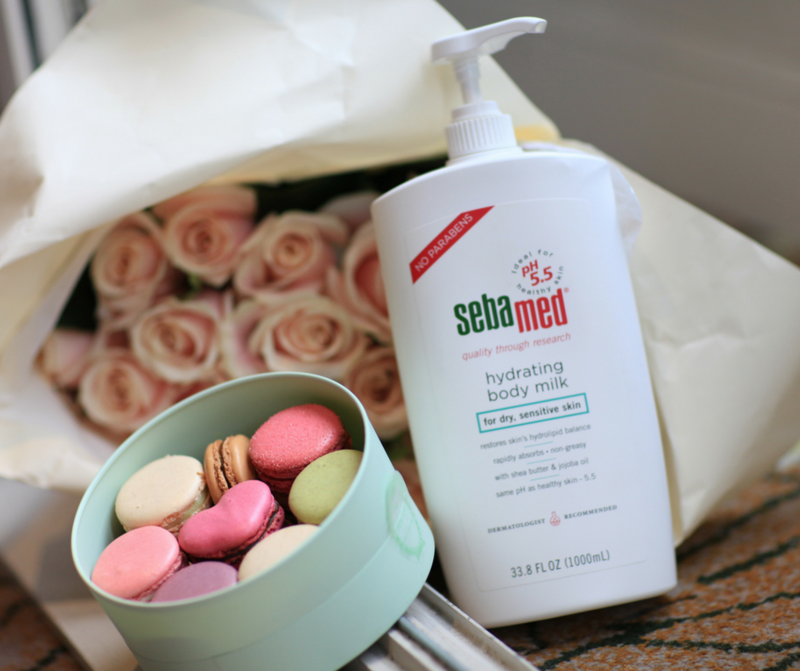 Sebamed’s mild, pH-balanced formula also strengthens your skin barrier with each use, protecting you against skin conditions. Check out our complete lineup here. Hi,just wanna know if u ship to Nigeria…..
Hi Jaquelyn! Great question. We are just the US distributor for Sebamed. BUT! Good news. We do have a distribution partner that ships to Nigeria. You just need to order through them. We’ve linked the shop name so you can go there directly: TG Pharmaceuticals. Best wishes.